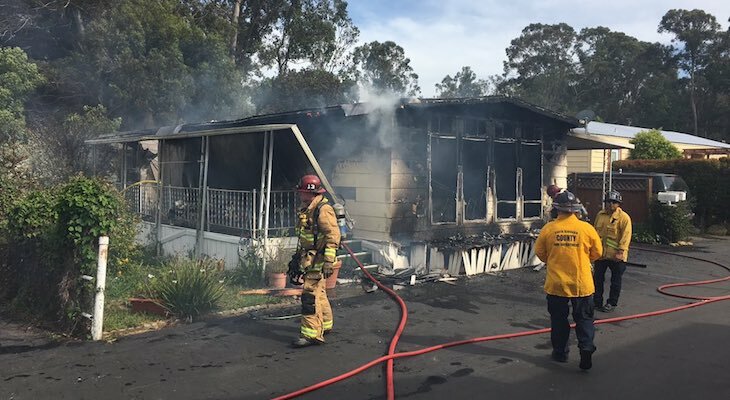 One person was injured in a mobile home fire in Goleta on Monday afternoon. 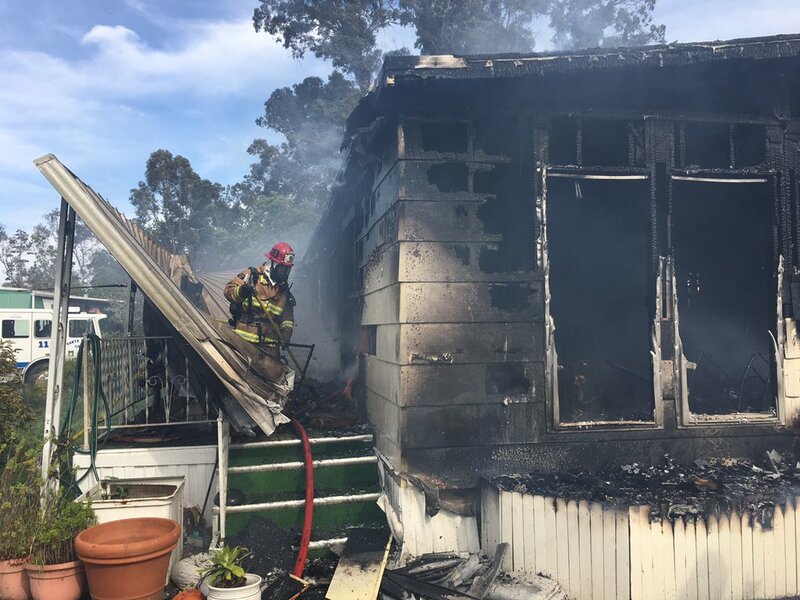 At approximately 3:45 p.m., Santa Barbara County firefighters responded to 7465 Hollister Ave. for a reported structure fire along with a ground ambulance and County Sheriff's Deputies. Upon arrival, crews found a mobile home with heavy smoke and fire coming from all areas of the structure. 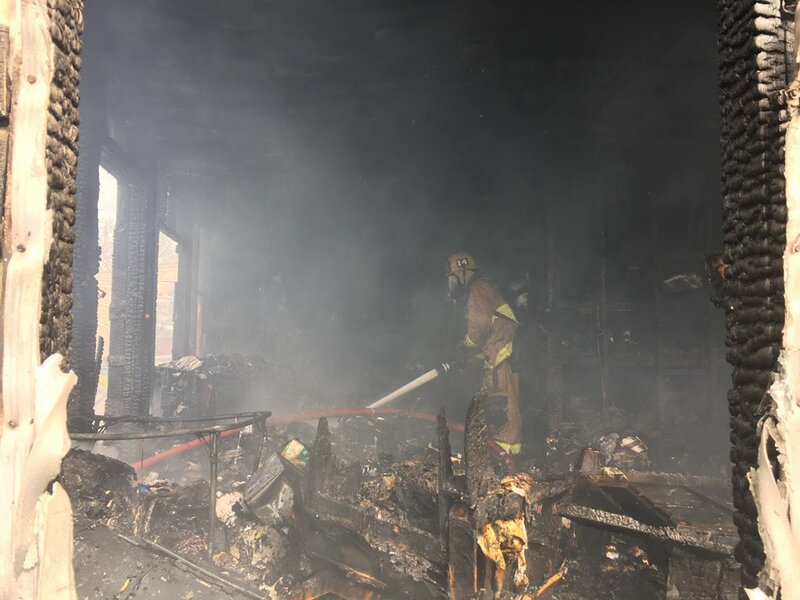 Firefighters immediately began an aggressive attack on the south side of the structure, reports Captain Daniel Bertucelli. There was one occupant, the homeowner, inside the structure who suffered minor respiratory difficulties. The Red Cross has been notified to assist the homeowner. There were no firefighters injured in the attack. The cause of the fire is under investigation. Structure fire in the 7400 Block of Hollister, heard someone might be trapped inside. So sad when anyone loses their home. I hope that this woman is able to be re-housed soon. Thank you for the kind words. We are just trying to get her the medical and emotional help for now. Having the shock of finding out the insurance had lapsed has left us emotionally dead inside. Not sure what to do next. Have you ever been though a tragedy like this? This is my mother that lost her house. Please take a step back, realize the time and place for certain comments and understand that comment was uncalled for. As of now this did involve homeless but in a different way. It involved an amazing single mother that’s partially blind and partially disabled. She is the one that is homeless now with the only possessions being her car and her clothes on her back, oh and her life if you were wondering. Have a better day surfergirl69. She's expressing shock that a fire in town wasn't caused by homeless people. Anyway, off-topic and totally irrelevant. Huh???? Whatever you were trying to say isn’t clear. To me anyway. City engine responding for breathing support. Medics for stand by.. Engine 13 to cover Station 11, City of Santa Barbara to cover Station 13. 7465 Hollister toward the back..
Also heard possibly fully involved.